The great news is there are a few things you can do or look for to make styling skirts reallyyyyyy easy! 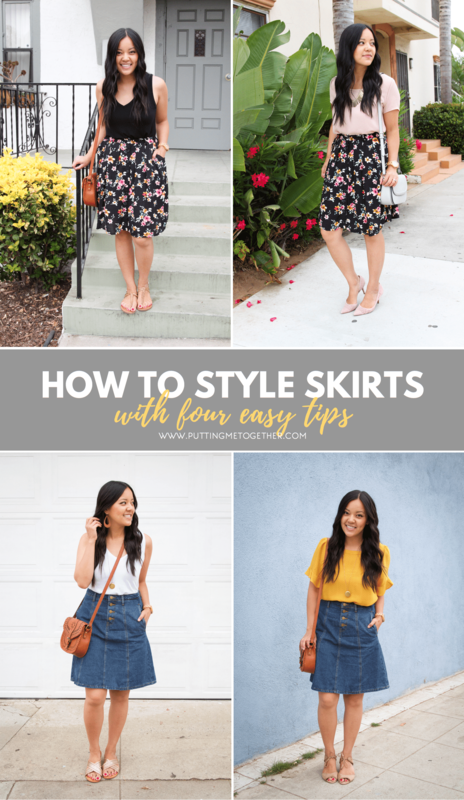 Today I’m sharing four tips that I use to effortlessly style skirts, and I’m partnering with ModCloth to do it! Whenever I’m looking for a skirt, ModCloth is one of the first places I check because they have a huge selection of skirts in all sorts of colors and prints. And almost all of them are available in XXS to 4X! While I am only showing a-line skirts, these tips work with pencil skirts too! SIZING: I’m 5’6″ and usually S/M or 6/8 in clothes and 8.5 to 9 in shoes. 1. Tuck tops into the skirt or knot them over the skirt to define your waist. I think you can get away with untucked tops with pencil skirts, but a-line skirts are harder to do that with since they’re not fitted. Tucking or knotting tops helps define your waist and creates shape and structure. Otherwise the outfit can look shapeless and aimless. You can tuck the top in tightly, or you can blouse it out a little. Every top and skirt combo will look different tucked tightly versus bloused out a little, so play around with it! You can also add a belt if you want even more definition. These tanks are really soft and stretchy but retain their shape. They’re so stretchy that I can easily pull them down to breastfeed. Usually I can’t breastfeed in v-neck tops, so I’m confident that if *I* can do it, almost anyone else can! One caveat: This material tends to show lines in *some* of the colors. Navy and black have been fine. Grey and white were more noticeable, but wearing a t-shirt bra took care of it. See them in 8 colors HERE! I wear size M.
2. Look for skirts that hit at your natural waist. This keeps tops in place better! Before I started blogging (which was 7+ years ago–wow!) I wore skirts that sat lower on me, like where my jeans sit or below. Tucking tops was fussy because they wouldn’t stay put. Now I buy skirts that hit my natural waist, and the tops–and skirts–stay in place much better! When I figured this out 7 years ago, guess where I looked for the right kind of skirts. ModCloth. BOOOOM, full circle! They have a billion skirts that are just what I’m looking for! This denim skirt is ADORABLE with its cute buttons, pockets (!! ), and a-line silhouette. Denim skirts have regained popularity lately, but most I’ve found are pencil silhouettes. Those tend not to stay in place on me as well and slide up my hips a lot. I LOVE that this one’s a-line! It hits perfectly at my natural waist and therefore never slides around! It helps the top stay in place too. Plus, pockets! 🙌🏽 It’s available in XXS to 4X HERE! 3. For skirts that hit the knee or above, either flats or heels work. With midi skirts, wear heels. This is not a hard and fast rule, and it’ll always depend on your body shape, the skirt, and style preference. But most often I prefer a little lift to elongate my legs when wearing a midi skirt. I don’t own many midi skirts for that reason. I don’t love having skirts that I *always* have to wear with heels and prefer the versatility of a knee length skirt. In the previous outfit I showed the denim skirt in a casual outfit with flat sandals, and here it’s styled in a dressy casual look with these cute stacked heels. I love having open shoe options as an easy way to dress skirts up or down! Whenever I’m considering buying a skirt, I keep these two outfit formulas in mind. I try to imagine if the material will work with both combos or if it will be too fancy or too casual. Both outfit formulas worked with both of today’s skirts, even though they are made of different material. 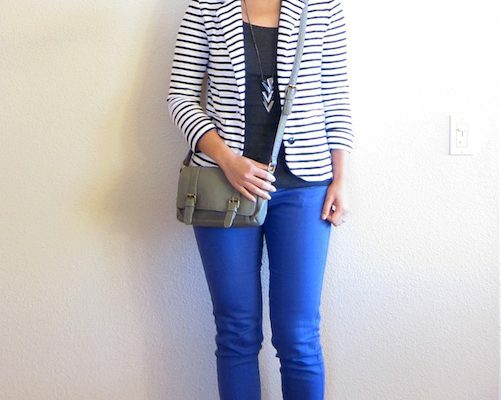 Denim is casual, but a blouse and heels stepped up the skirt! The floral skirt is lighter weight and flowy, but could be dressed down with the tank and sandals. 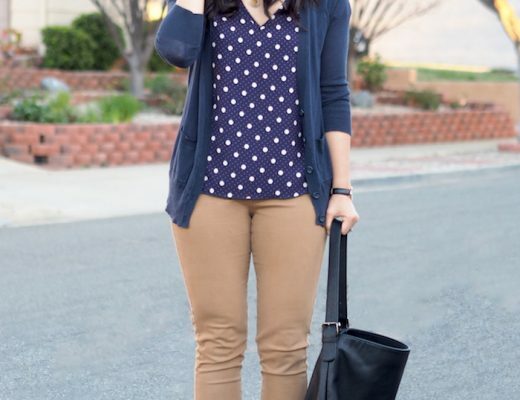 Keeping these outfit formulas in mind is an easy way to identify versatile pieces! And BTW, I LOVE this floral skirt! It’s super lightweight, fully lined, really versatile, and has pockets! There’s a bit of elastic in the waistband too. BUT, it runs a tad small, even with the elastic. I’m wearing M but it’s a little snug after I eat too much. 😆 I could blame the fact that I have a few pounds of baby weight left to lose, however, this fits more snug than the denim skirt and all other ModCloth skirts I own in M. It comes in XXS to 4X HERE! Like I said, ModCloth has TONS of skirts to choose from. 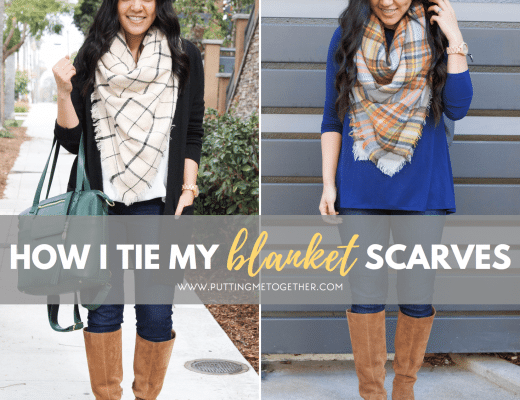 I’ve rounded up some of my favorites below! Check out all their skirts HERE. Click on any image below to shop the skirt. If you’re viewing on Bloglovin’ and cannot see the widgets, click out of Bloglovin’s frame HERE. Huge thanks to ModCloth for collaborating on this post!